RLS Enterprises employs electrical engineers with a solid foundation in engineering principals and real-world experience in the industrial workplace. This combination helps assure that a design on paper will also work in the field. All RLS engineers spend time in the field assisting with system design and startup to assure that each system operates and functions properly as designed. 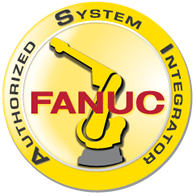 We can analyze your system requirements and automation needs to recommend the best I/O and motion control solutions for your new system. For existing systems our engineers can ask and tackle the important questions like, Do you have an unfinished control?, Do you want to improve or debug your existing sytem?, Do you need to reverse engineer your legacy control?. We also specialize in upgrading or replacing obsolete systems with cost effective new methods, components, and controls.